This Saturday could bring big changes in the race for the Democratic presidential nomination. So far, Hillary Clinton has 303 delegate lead over Bernie Sanders — the Democratic Party nominee needs 2,383 delegates to secure the nomination — however, it's likely that Sanders will begin to catch up this weekend as he is slated to win Washington State. Although the Republican primary in Washington State is not until May, Democrats will caucus on Saturday morning. Delegates will be allotted proportionally, as Washington is not a winner-take-all state. There are 101 delegates up for grabs in the Washington caucus, and it is likely that Sanders will win the majority — Clinton lost Washington to Obama in 2008. Other than California, New York, New Jersey, and Pennsylvania, Washington carries more delegates than any state yet to hold a presidential primary. So far, over 50,000 Democrats have registered to partake in the caucus. However, since the delegates will be allotted proportionally, even if she loses, Clinton is still likely to win quite a few delegates, and therefore, Sanders will need to take home a large percentage of the Washington delegates in order to begin closing the delegate gap between himself and Clinton. After a disappointing loss in Arizona, a state Sanders believed he would win, the Sanders campaign must win Washington in order to at least begin to catch up with Clinton in delegate count. 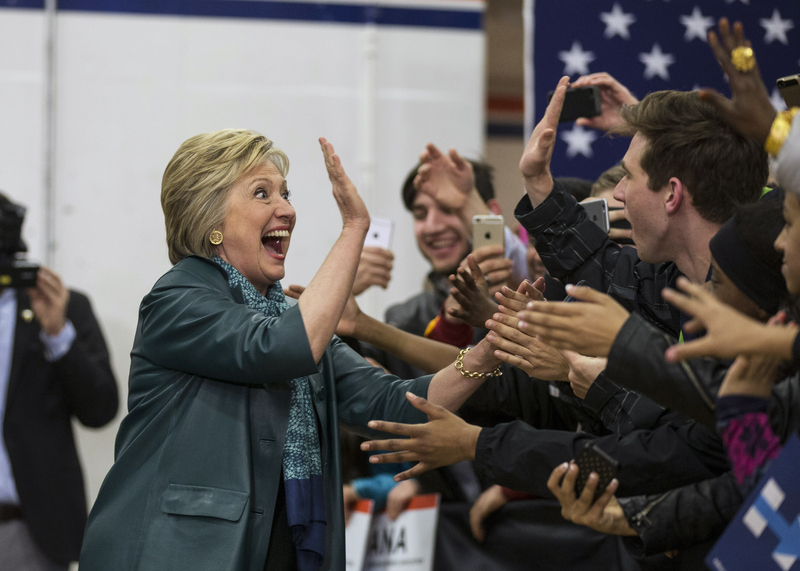 A recent Huffington Post article reports that caucuses have been beneficial to Sanders. This is because Clinton wins a lot more votes through early voting than Sanders does — older voters are more likely to vote early, and vote for Clinton — therefore, Saturday's caucus is bound to be a success for Sanders. Sanders held a rally in Seattle on Sunday, filling the Seattle Center with over 10,000 supporters — another 5,000 showed their support from outside the arena. Clinton, too, is campaigning heavily in Washington, her husband, Bill Clinton, and daughter, Chelsea Clinton, will join her in the state over the weekend. Now it's time to wait and see who takes home the most delegates from the Washington State caucus on Saturday.